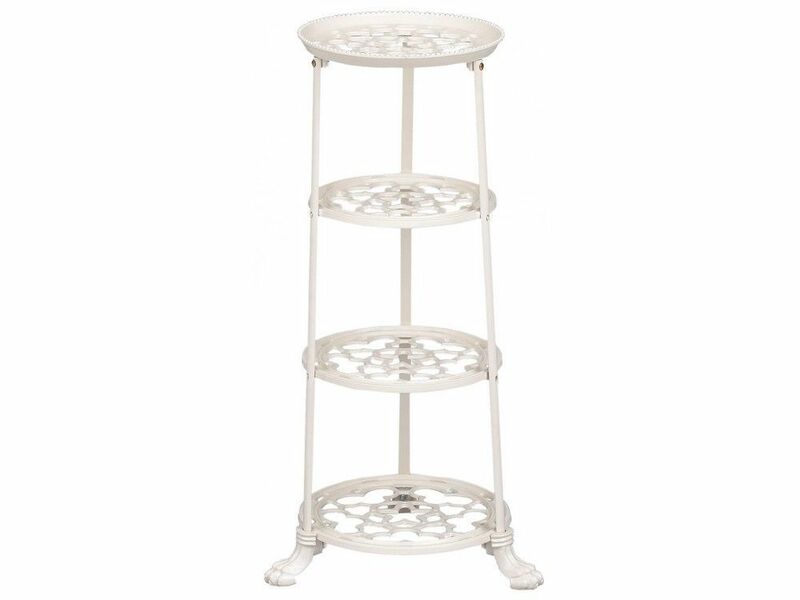 This 4 tier pan stand comes in a soft cream colour, making this vintage accessory perfect for modern kitchens. The shelves are cast aluminium, giving a crisp casting to the ornately cut out holes, and the legs are steel with sturdy cast iron feet. Made in the UK, the pan stand's pretty yet strong design will blend subtly into your kitchen, even more so if you use some shelves for plants or ornaments. We offer pot racks to suit all kitchen themes in a range of colours and sizes.